his is of course starting from zero..not the initial problem I was having with Line backer install.This really doesn't matter anymore anyway -I can transfer careers,skins, missions,et al from the old install to this one of I can just get it working. Nobody ever talked about initlog.lst. You should read our replies more carefully, otherwise this will just waste everyone's time. Believe me I read your posts very carefully indeed. 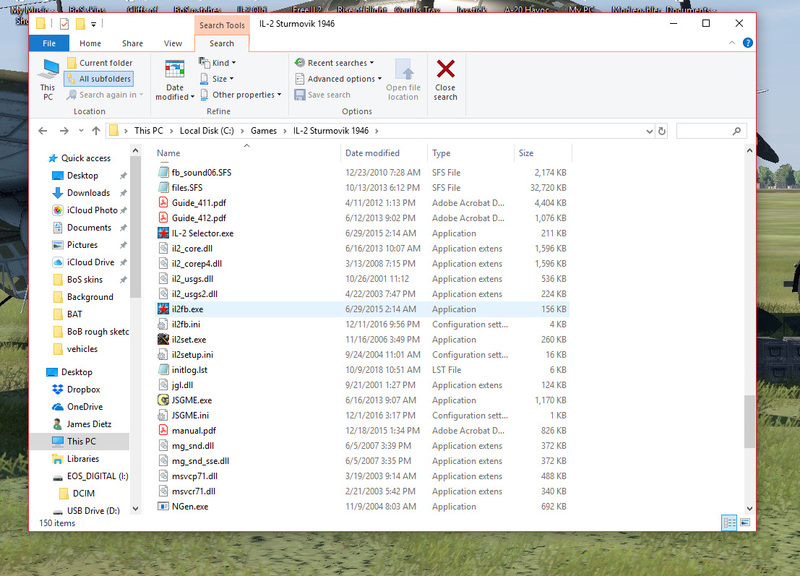 What if I simply open each BAT 1 folder & install tem one by one in order over 4.12.2 like I did with Cup installs? 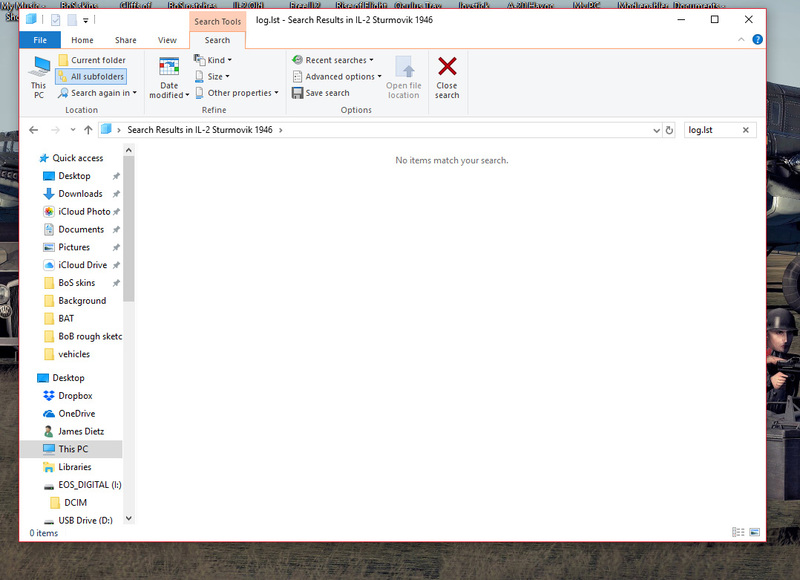 Any hope of this working instead of using the exe.? 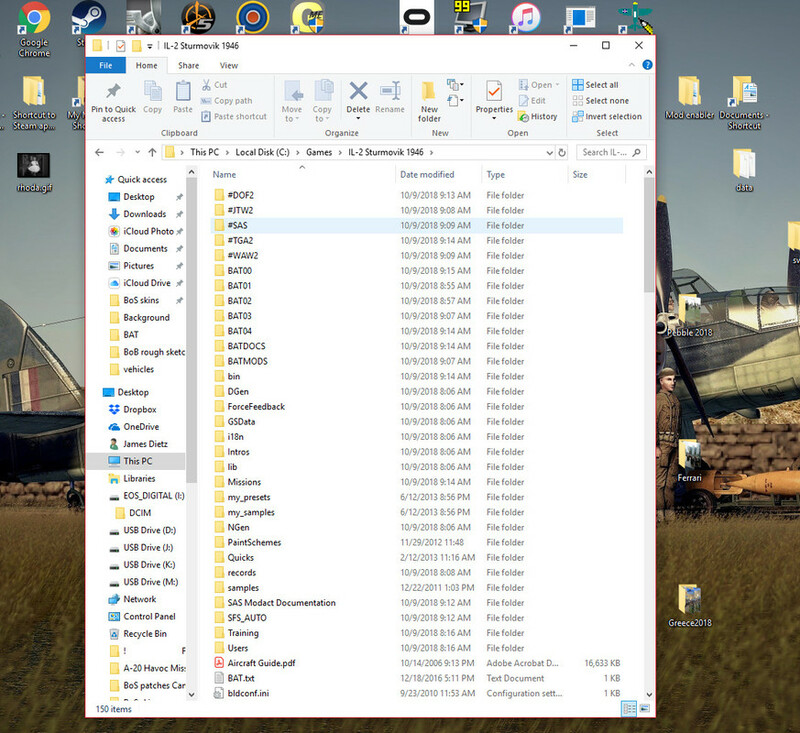 Post an image of your current IL-2 root folder (show me your top folders).